Called in for long-relief in this 1985 Long Branch High School game, Steve Muh pitched well. But he ran into some trouble late, giving up a walk and a single, according to The Red Bank Register. Muh responded, The Register wrote, but striking out the next three to end the game. "I was having some problems with my mechanics," Muh told The Register. "But I was confident that I could get them out." Muh went on to play in college and in the pros. His pro career, though, was slowed by injuries, lasting just four seasons. It was a career that saw Muh make AA, but not the majors. 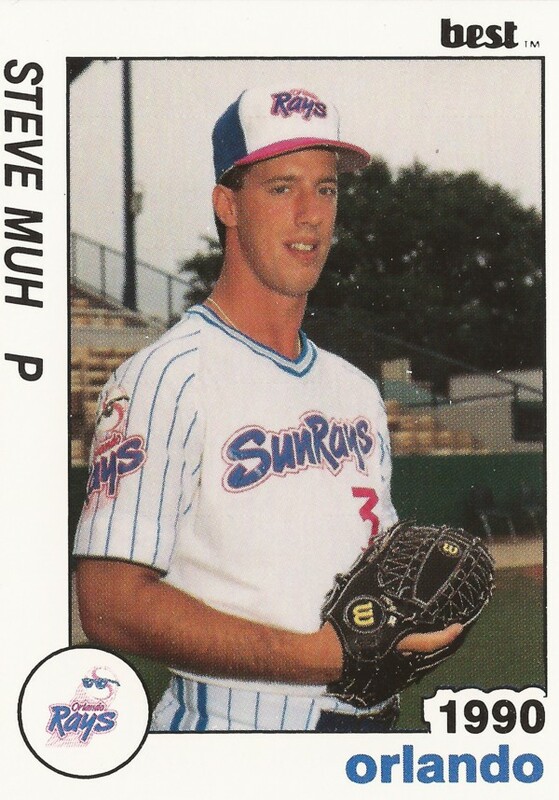 Muh's pro career began in 1988, taken by the Twins in the 14th round of the draft, out of the University of Georgia. Muh went to Georgia out of Long Branch High School in New Jersey. Muh played at Georgia from 1986 to 1988. He got out of a February 1988 bases-loaded jam by striking out the next two. He also went with the Bulldogs to the 1987 College World Series. 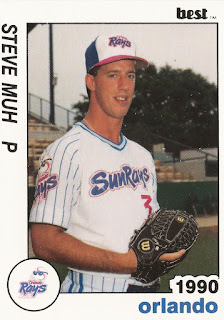 With the Twins, Muh played his first season between rookie Elizabethton and single-A Kenosha. Between the two, Muh went 4-4, with a 3.74 ERA. Muh played all of 1989 back at Kenosha, getting 26 starts and going 10-11. He posted a 4.40 ERA, while striking out 141. Muh then started 1990 at AA Orlando. He also was coming back from an arm injury, according to The Orlando Sentinel. In his season debut, Muh went five, gave up two hits and didn't give up a run. In a May game, Muh had a poor inning, giving up two home runs and seven runs total, before being taken out in the fourth. His manager Ron Gardenhire told The Sentinel the outing turned into simple pitches, rather than performance. ''Everything (Muh pitched) was up in the strike zone,'' Gardenhire told The Sentinel. "But we wanted to go ahead and let him get his work in. This is the minor leagues." Soon, Muh was in high-A Visalia. Between the two levels, Muh went 7-4, with a 3.99 ERA. Muh started 1991 back at Orlando, but was released by the end of June. He played out the season with the Cubs at AA Charlotte, ending his career.